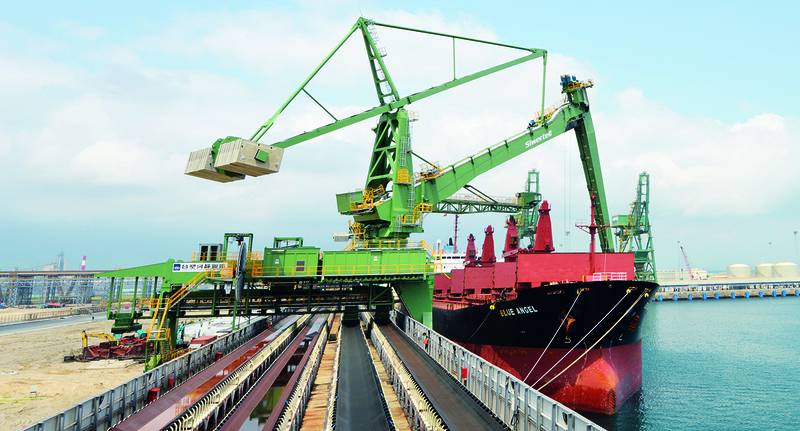 Ensuring a continuous flow of coal at Formosa Ha Tinh Steel Corporation’s steel plant in Vietnam are two rail-mounted Siwertell ST 940-DOB unloaders. The dedicated coal handling systems are an industry first and have since captured the attention of steelmakers around the world. Siwertell has brought about a fundamental shift in the steel industry by introducing the huge benefits delivered by dedicated coal handling. Operated by Formosa Ha Tinh Steel Corporation and owned by Formosa Petrochemical Corporation, the world-class Ha Tinh plant is a significant industrial milestone for Vietnam. Specifically developed to reduce the country’s dependency on imported raw steel, it needed a handling solution that was capable of meeting both coking coal and therrmal (steam) coal demands; estimated to be about 7.7 million tonnes/year. 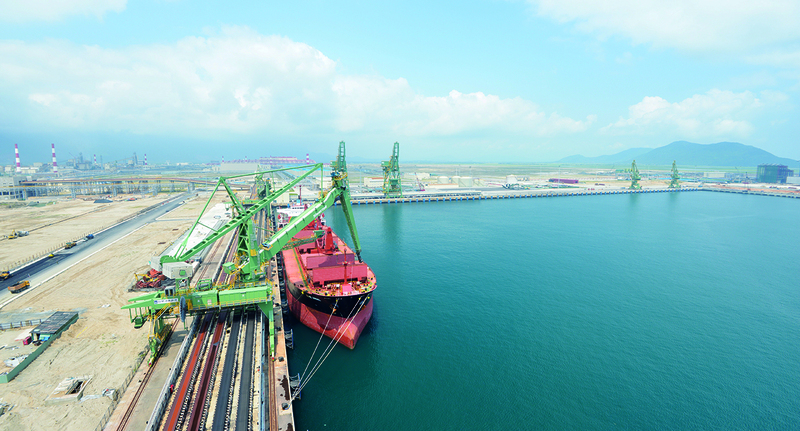 Located in Son Duong Port, the facility will ultimately have six blast furnaces, securing its position as one of the largest steel plants in the world. Units serving this facility needed to deliver high rated capacities, excellent through-ship performance and low environmental impact. The project placed significant demands on the design and delivery of a tailor-made solution; both of which Siwertell excels at. It was contracted to deliver two ST 940-DOB unloaders capable of handling all grades of coal and meeting strict environmental requirements. 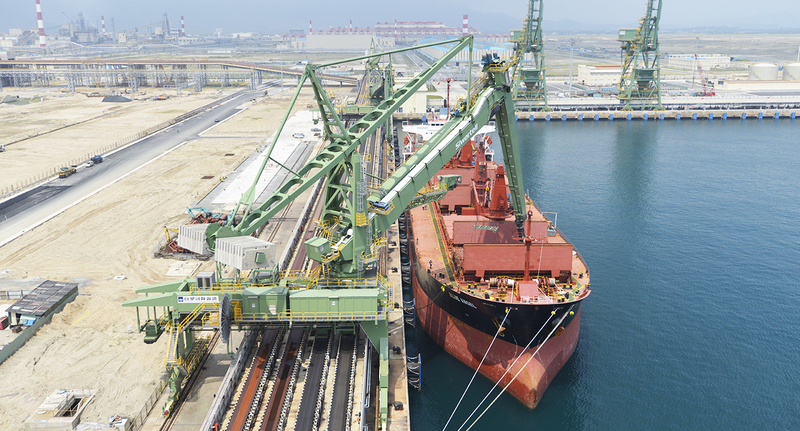 The units needed to discharge coal to three different quay conveyor belts. Siwertell surpassed these requirements with a design that enabled the equipment to reach a fourth belt for handling iron ore.
Other features include an advanced dust-suppression system and an anti-collision system to prevent damage from accidental contact with nearby equipment. A specialised maintenance tower and CCTV system further add to its capabilities. The unloader can travel up to 700m along the quay (correct?) and can handle excavators, for final hold cleaning, of up to 25t. Since their commissioning in 2016, the units have undergone several performance tests, including rated capacity, power-consumption and through-ship rates; all of which have produced excellent results. Each unloader provides highly-efficient coal handling at a rated capacity of 2,400t/h and can discharge vessels up to 205,000 dwt with almost negligible dust creation and no spillage. 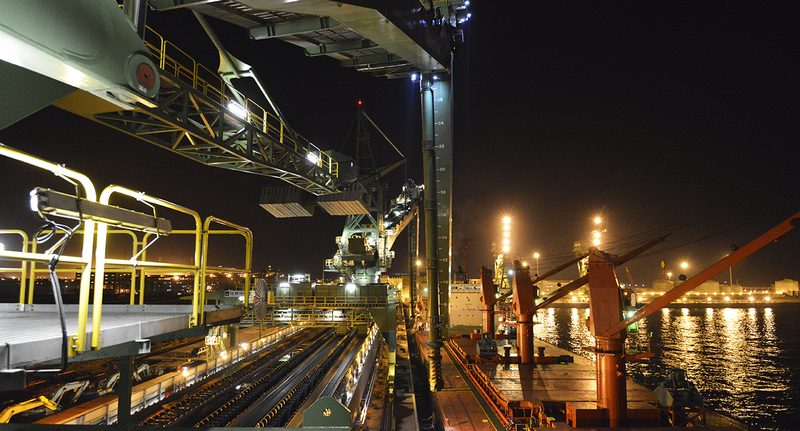 Ha Tinh’s Siwertell units remain the largest ship unloaders that it has ever built and Siwertell was able to assemble them on site, as was preferred by the operator (correct?). Despite the strict environmental regulations and challenging logistics posed by the green-field site, Siwertell achieved a high-quality, faultless assembly, demonstrating the full capability, determination, reach and expertise of Siwertell as a company.